In the first part of this article, which dealt with motivating learners to engage with e-learning and learning in general, I said that learning was no different from any other important project in the work environment. So managers who want their staff to learn, need to motivate them to do this, and then to manage the process professionally end-to- end. That part of the article provided some hints and tips on how to do this successfully. However, it’s pretty obvious also that it’s no use motivating learners to get on the learning bus, if management doesn’t keep the bus serviced and topped up with gas, so it provides a reasonably rapid and comfortable journey for the learners. They’ll travel on it just long enough to do what they have to do, and then they’ll get off. And, they certainly won’t be encouraged to climb on the learning bus voluntarily. First, at a macro level, it would be good to make sure that knowledge growth is seen as a core company strategy in the first place, and that the staff and management are aware of this. 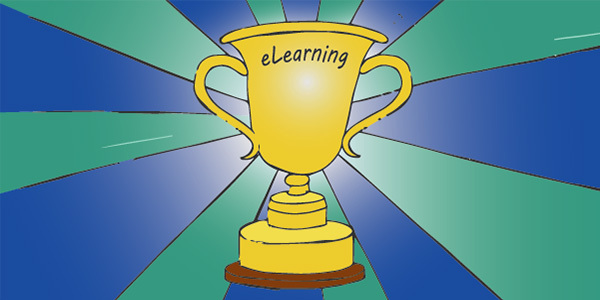 Secondly, since we are now firmly in the information age, it is important to use modern technology properly and appropriately – whether to deliver online courses or to support blended learning, or for just-in-time performance support – either way, “e-learning” needs to be a core part of your Knowledge strategy, just as the internet is now at the centre of many companies’ marketing and service strategies. Third, you need to allocate enough budget to this important investment, and not to see training as a grudge cost which can be turned on and off. In particular, once e-learning is established as a core training strategy in your company, and is being used to deliver exciting and motivating training, you can’t just turn it off. And finally, you need to ensure the learning is as accessible and enjoyable as possible. This means prioritising bandwidth for learning and not only for operational requirements. Learning from text is plain boring – video is certainly a way to go, but how often do we hear the IT people say there is not enough bandwidth for this… not enough bandwidth to support the knowledge the company needs to be competitive? providing the infrastructure and management needed for learning to take place. Both are equally important in enhancing knowledge and capacity in any organisation, which in turn drives competitive advantage.